Yay!!! It’s there. After almost a year of coding, I dare say that my WordPress SEO plugin is finally to be called stable. That doesn’t mean there are no more bugs left to squash: I wish. It does mean though that I now strongly believe that it’s safe to run on smaller and bigger sites alike. Some very big sites are already running it. I think Boris got exactly what my aim is with this plugin. I don’t want to bore you with all the details, I want you to write better content and aid you with that. The help from Linkdex and the Page Analysis functionality we created in that has been invaluable. That said, I’m not there yet. The plugin still has a gazillion settings that you need to find your way through and I’m not happy with that. Functionality to fix that will be coming soon. Another big big thanks is due for the guys at Level Level who designed the logo for this plugin, in the same style as the logo for my Google Analytics plugin. Guys: you rock! Today I also finished the work on the Google News SEO Module, the first official module for my WP SEO plugin. It’s free, if you’re in Google News you should really start using it right now! So, it’s there. If you were already running the plugin, update to 1.0, if not, install it now, have fun and tell me in the comments both why you use the plugin and what you’d like to see next! If you want to thank me, a donation is sincerely appreciated. All of the money that comes in in donations is spent on hiring the best WordPress developers to help me improve on this plugin even quicker. A good example of that is that I hired Jon Cave, a WP Core Contributor, to build the XML Sitemaps API that allows this plugin to easily create XML sitemaps for the very large blogs it’s used on. Well, noobs are really going to make something out of this post. I was in search of some ways to promote our new venture, http://www.3dollargigs.com , the most affordable graphic solution on the planet. after i’m update this plugin my page have a bad result in indexing.. it is very slow in indexing.. in previous version i just need 10 hours then my page indexing by google.. now.. :( the Hide verbose explanations of settings not working..
on the plugin page, both here and on wp.org. Or you can search for “wordpress seo” on your Install new plugin screen in the WordPress admin. Thank you a lot for your effort regarding this excellent all in one SEO tool. I’d just wish to change the titles of my posts from H2 to H1(in the style.CSS sheet it says H2.page and then titlefont: normal 26px/30px Georgia; (reluctant to change it). If you see , all posts have small titles in black on yellow, as well as on the post pages themselves. Only the home title has H1. The sitemap tells that the static front page has 100% priority and all other pages including the blog page only 80%. I wonder if this owes to the small titles. Shouldn’t it be the blog page to be 100% which is where the index file is? ** wouldn’t let me response within same posting. Plugin gives main sitemap of: http://cparservices.com/sitemap_index.xml, and of course each is listed within. And Google Webmaster Tools gives an error for which sitemap specifically? All of them. Like with previous websites, I submitted each sitemap individually. Same error for them all. Mind giving me access? They look 100% ok so I think something else is going wrong. I’ll email you with my details. When updating a Category the .htaccess file is overwritten with blank content (only “# BEGIN WordPress) # END WordPress” – so that brakes my blog until I restore the .htaccess url rewrite rules. So I need to cross check if that issues was already before installing WP SEO. Dear Joost, I’m having the permanent structure as /%postname%.html and have enabled “Enforce a trailing slash on all category and tag URL’s”. However, all the posts are also accessible with a trailing slash. ie., both mysite.com/example.html and mysite.com/example.html/ are accessible. How can I redirect .html/ to .html? Please help? I have used this plugin before, and google recognized right away. I am using a WP theme from Templatic. thoughts? anyone getting the same thing? I changed themes and resubmitted sitemaps. Immediately I am getting the same error. Could you give a link to your XML sitemap or your site? How’s it going? Long time no hear. Listen, in the script for the Meta Description in an individual Post/Page, the character counter’s not working. Got any ideas on what it could be? I love the breadcrums option and I implemented it in my blog. There is only one thing I did want to change that wasn’t a standard option. The hard coded “Home” in the breadcrum. I like to have my site domain name here instead of home. Would be nice to have a option in the plugin to chance it in what ever suites the site purpose. Joost. I have been running your plugin for quite a while and have been telling everyone I know how awesome it is… My main site, that is running your plugin, is on page 2 of Google for WordPress SEO in 3 months. Thanks man. we been using this plugin since day 1 and love it! Awesome plugin Joost! I wanted to replace an older Google News sitemap plugin that I’m using with this, but I’m not seeing the Google News options on custom post types (incidentally, the same problem with the older one). I’ve tried highlighting all of the custom post types I want included, but it doesn’t seem to stick. Great plugin I use it as guide to optimize my content. Cause of this plugin I now use more and more pictures in my posts, cause it prompted me to do to get a better SEO result. I just installed the latest 1.0.1. but it has still a nasty bug. It breaks the page title in the standard TwentyEleven theme of WordPress. You also will look bad when newbies install this plugin and see there page titles mingled….. Yes I know you should also SEO page titles. But a plugin should also have a option to switch off stuff I and other people don’t want (yet). So please fix this and include a option that switches off the title stuff. If you set the title template for posts & pages to %%title%%, the plugin essentially does nothing. If you enable force rewrite it always works, at a a slight performance loss. This is what most other SEO plugins do by default. Because of the performance loss I refuse to default to that. The issue is that the title tag in Twenty Eleven is absolutely horrible in the way it’s implemented. I’m currently working with several core contributors on a patch to entirely change the way WordPress handles titles, so all of this would no longer be needed, at least for up to date themes. I agree with you that TwentyEleven has a wired way of managing titles. But this is what it is for now. Plugins have to adapted to this current situation. The %%title%% in post and pages AND the rewrite does work, thanks. Only thing: I use the TwentyEleven Showcase page as my home page, the plugin rewrites my page title to: “Showcase – That’s really ugly in my opinion. I searched the settings and can’t find a way to correct this to the – TwentyELven has as a default. If there is let me know. I still am in the strong opinion that there should be a option to turn of the title rewrite in your plugin. There always will be situations that your rewrite system isn’t suitable. Don’t force things on people if they don’t like them. Give them the opportunity to turn it so they can SEO titles in there own way or just go with the standard of the theme. btw, I’m not so sure Mashable lends any credibility to you and your plugin. I think they are by far getting the better end of the deal/connection/association/relationship. Congratulations! This is a great plugin and it is great to see its development progress to a stable version! Thanks for this great SEO plugin, I will donating a little to say thank you. WP is asking to update the plugin, will I lose my current settings and meta titles/descriptions if I automatically update? Hi Adam, no you won’t loose your settings! I’m quite new to your SEO-plugin, but am loving it! Good work Joost. Loving the plugin. The sitemap has given my site a vast improvement in terms of the number of pages indexed. I heard that Yahoo! Site Explorer is now merged with Bing – is this true? If so, will you be removing this redundant field from the plugin any time soon? Also, I am wondering if you have any plans to add a deep-linking feature to this amazing project. I just installed WordPress seo today. Finally finally have a site map and have issued to google and it’s been accepted. I will def. be donating today, so look for that! Having trouble setting up the titles setting page? 1>I changed the code on the header page for as recommended. Do i have to change it further down where it says where it has the code for Site title too? 2> Now I don’t know what to do next. ANy tutorial? In the slot for title template do I put %%sitename%%-%%sitedescription%% or do I type something? in the meta description is that where I put: THE blog for Women over 45. Our Giveaways are alway over $50. Is there some place in your plugin for site name and site description or have I entered this elsewhere in WOrdpress? I see in the General settings where I have site title and tagline. Amazing Job! I love this plugin, and now I am happy to use this because now it is stable. Thanks. I rushed to install it hoping my XML site map issue would be solved but was disappointed . could you tell me, either here or in that support thread, which URL you’re having issues on, as http://wordpressinsider.org/sitemap_index.xml seems to be working fine? I see a valid XML sitemap… Could you resubmit the sitemap in Google Webmaster Tools (there’s a link for that in GWT) and if it’s still throwing a red cross, click at the sitemap and make a screenshot of the error? I’ve been running it on KnowABit for months now. Excellent, excellent plugin! Not all of our authors take advantage of it, but it’s in their tutorial. Now what I’d really like: a plugin that will send an excerpt to the major social media sites automatically for each post made. Ping.fm had a plugin that could do this, until Loic castrated it for WordPress. Joost we build all our sites in thesis theme, this made the all in one seo plugin redundant for our sites. Is there anything extra that your plugin does different that offers improvements? It does way way more, but unfortunately Thesis is currently incompatible with this plugin, because they refuse to adhere to WordPress standards. Joost I guess Thesis and WordPress issue has been resolved ..Or not?? I want to use your plugin but at the same time I’m using Thesis theme….and more over I use thesis inbuilt SEO feature for everything..!! Though I can easily import settings from Thesis to your plugin..but apart from that will it be any issue?? Congratulations! Amazing Job! Best for you. Awesome news, I’ve been using the plugin since its inception with no issues! My favorite SEO plugin without a doubt! Will support for localization be added now that you’ve reached 1.0? This is vital for me. I have no problems with English myself, but I unfortunately can’t install it for my Norwegian clients unless it can be localized into Norwegian. The localization is probably one of the main reasons why AIOSEO is so popular. That’s definitely very high on the list of things to do next, a lot of it is ready for it, so it’s a matter of me going through the entire plugin and fixing things. 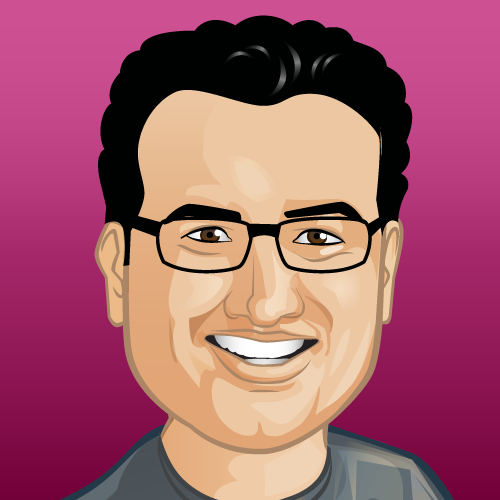 Congratulations on Reaching 1.0 version and Thanks Joost for creating such an awesome plugin. I would also love to see localization support due to the nature of my clients. Thanks again. Install as update, how? Curretnly I use 01.3 and want to save my settings. When I tried to upload 1.0 as a plugin, unsurprisingly I was told that it had the same title as the version I and the installtion failed. Suggestions on how to install as an update, should I deactivate or uninstall the old version, rename the new version. Will I lose my existing information? Nothing dumb about that :) Indeed just delete it through the WordPress admin, then install it again. I have recently read several good reviews of this plugin from some of my opinion leaders. I am strongly thinking of converting, but a little hesitant as I don’t see a lot of tutorials on why I need certain aspects of SEO. If you could have that that would be great. Which aspects are you worried about? Is it possible to manually add extra pages to the Sitemap? No, but it’s not an issue at all to have multiple sitemaps, so you can easily create an extra one. Okay… and how do I create multiple sitemaps? I know I can try google ;) but maybe you can point me in the right direction. Congratulations on the milestone Joost! I’ve been using, and recommending, your WordPress SEO plugin for awhile now. All your work coding this plugin definitely shows, as it is by far the most functional and polished SEO plugin I’ve ever used. Thanks for contributing so much to the WP community! That page has a static frontpage? That’s right I forgot to check that difference in sites setup. Logical that the config should not be the same then ? Regarding settings, I could never really find recommended default infos, is that because they could vary from site to site based on hosting etc ? Is there a default file in xml we could use if one cannot export yet ? Hi Pierre, appreciate the donation :) There are no “default settings”, unfortunately. I’m working on a wizard that’ll lead you through some questions and determine proper settings for you based on that, but that’s a little while away. One thing I’ve been missing is the import and export feature, as like many people I use the same config on many sites. So far that feature did not work so I reported it in the bug tracker, I’ll try again now that I see the newest version in my site, and will report if that can help. Thanks again ! Congrats, good stuff, and thanks for the effort. This goes on all my sites, and any I develop. I know I personally do not yet utilize the plugin to its full capabilities, but I appreciate the things it does for me. Great work. A must-have plugin, that’s for sure! Is the steps to migrating from AIO SEO still the same as those here: http://yoast.com/all-in-one-seo-pack-migration/ ? I’m thrilled with the plugin but I am having one problem. My categories aren’t being indexed. I’ve checked and double checked all the options, but still can’t solve this. Hmm the canonical there is horribly wrong. Checking whether that happens elsewhere too. Joost, your plugin is invaluable, I use it on all my sites. However, I’m having trouble getting it to work on Multisite. Is this a bug you know about. Any help would be much appreciated as I’m having to use Headspace2 on Multisite instead for the time being. Hi Dan, I’d need to see your install to be able to fix that… Will email you. Ok, I don’t know if you did anything, Joost, but it’s miraculously working again now! Maybe it was something in the latest update that fixed it. Anyway, Headspace is no more! Any joy finding the problem, Joost? I sent you the login details. 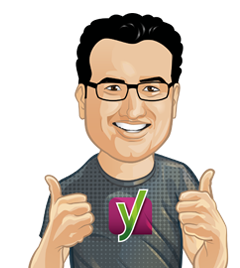 thanks for the read Yoast, I use your theme on a few of my website – i think google has indexed wordpress so much now that it simply knows what its getting before it gets there. but then i am running your theme… so the seo was built in! 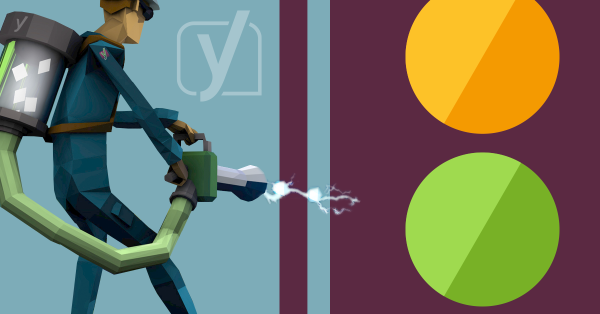 Thanks Yoast – a good read about google news there! Great! Thanks for your quick responses and help. I can make the switch and donate now. I’d really love to use this plugin but I can’t find where to enter the homepage seo titles, descriptions and keywords. I don’t use a page for my hompage. I noticed another user has asked the same question. Is it possible to optimise the homepage seo? Thanks Joost, now I see homepage fields. Just fixed it on your site, somehow your site’s reading settings were broken. I do have that option for the title pages, but as there’s no way of entering any keywords, I thought it must be the wrong place for entering the homepage seo. You don’t need them, but if you enable the keywords on the SEO -> Dashboard then you’ll get to enter them on this page too. Great stuff Joost a truly exceptional plugin I already can’t do without. Such a great and easy to use plugin and fantastic you’ve hit this milestone. We’re using this for all of our own sites and highly recommend it to everyone else! It might have been useful if you explained why we should install your plugin (well, one reason is because your plugins are awesome) instead of the many other SEO plugins and what the (main) differences are. I recently switched to WordPress SEO from All-in-One SEO and it has made a world of difference to my site. Nothing could be more simpler and effective. Thanks for creating the most useful plugin ever Joost. it’s one of the plugins we can’t do without. I’m currently using all in one SEO and thinking of switching to this one. Is there any extra steps rather than just deactivate and delete the plugin? Currently, I use All-in-One SEO. Would I use Yoast’s WordPress SEO plugin IN ADDITION to this or as a REPLACEMENT? Does that include Yoast Breadcrumbs? I’ve been using that for a while now, but does the SEO plugin replace that one as well? Yes it does, it actually has even better breadcrumb handling. A full replacement. It’ll also replace any XML sitemap plugins you might have. Will the XML sitemap work with multisite (WordPress MU)? I have just installed the Google News module and having a few problems. It generated the sitemap fine and added it to my index map. However it was empty and contained no urls. Should it have put all existing urls into the file? Also it is only adding posts to the file and not pages. Can you have both types added or only one or the other? Congratulations on a terrific plugin. I use it on several sites and it has really helped my SEO performance. I just wanted to say congratulations, and thank you. This is far and away my most indispensable plugin. Can’t wait to see what you have in store for us. Keep up the great work. Mate I am loving this plugin! You really have saved me alot of time. Thankful for the update and cant wait to see a update that has less settings and wont get me worried about no follow in the future. Where I can edit title and description of my homepage? Now there is the title of my last post, please help me soon! Just fixed it, your “Reading” settings were weird, as neither of the options was selected. Will add a check for that in the plugin but it shouldn’t happen. Sweet! Looking forward to updating all of my sites. I’ve been using your SEO plugin on quite a few sites for a while – only found one bug. I hope it’s fixed now that it’s out of beta. Good job and thanks! Joost, your contributions to the communites, especially magento and wordpress have been outstanding. Thank you for all your hard work, give the smaller guys a chance to really improve SEO if enough time is invested. Sweet! Thanks for this. I meant to write you about a maybe bug. I’m not sure, but occasionally when I rewrite an older article somehow nofollow and noindex gets turned out. I now check that tab before posting just to make sure. Thank you Joost – I was waiting for the 1.0 before I flip over to WordPress SEO on my blog groovyPost so thank you. Another awesome contribution to the WordPress community… and that’s no minor accomplishment. awesome, good job, any idea on the relase of the video sitemap addon? Great job, Joost! Much appreciated! I love how this single plugin takes the place of (and improves upon) so many others! Also, thanks for considering my feature requests! I’ve been using Yoast SEO for 6 months now and it seems to work so well I didn’t even know it was still in Beta. Congratulations Joost! It’s a must have plugin. Congrats! I really like the progress that has been made. I’ve been switching a few sites over and am real happy. Congrats!!! great plugin I have been using it for a while now as are many others. Ditto, one of the first articles I published using your plugin went straight to Numero Uno on you know who in less than 3 hours.